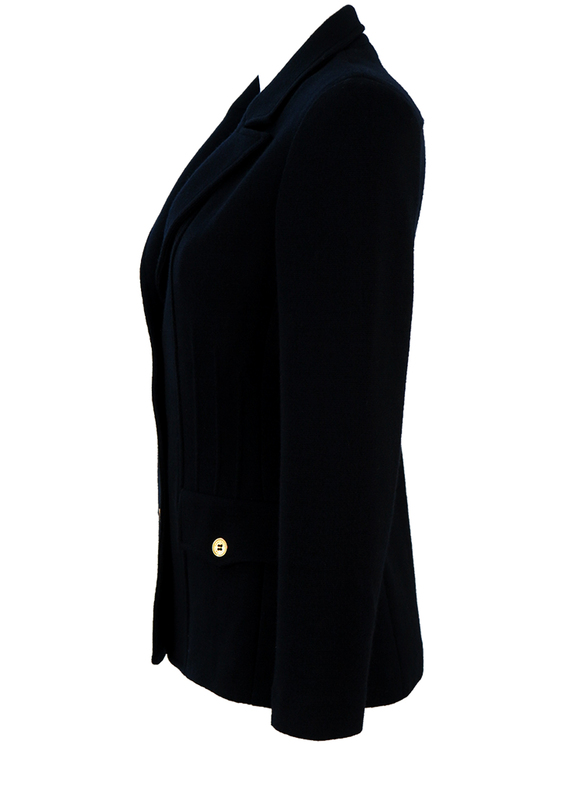 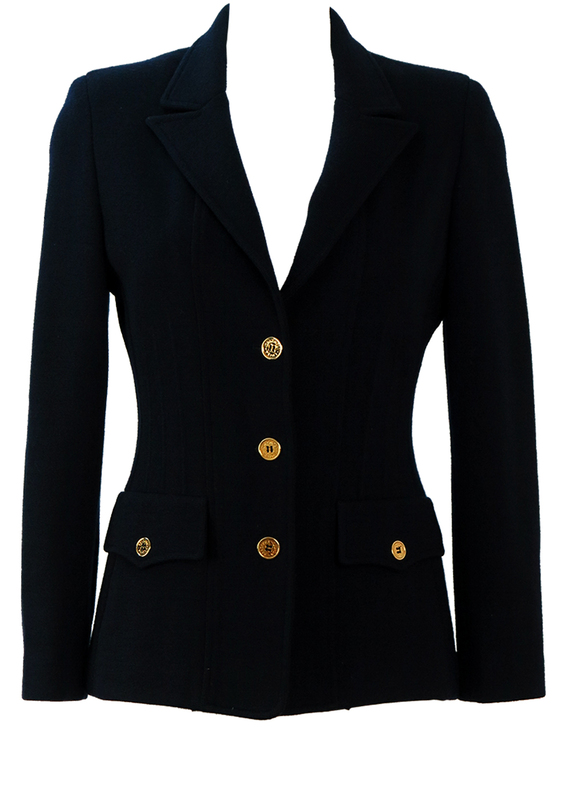 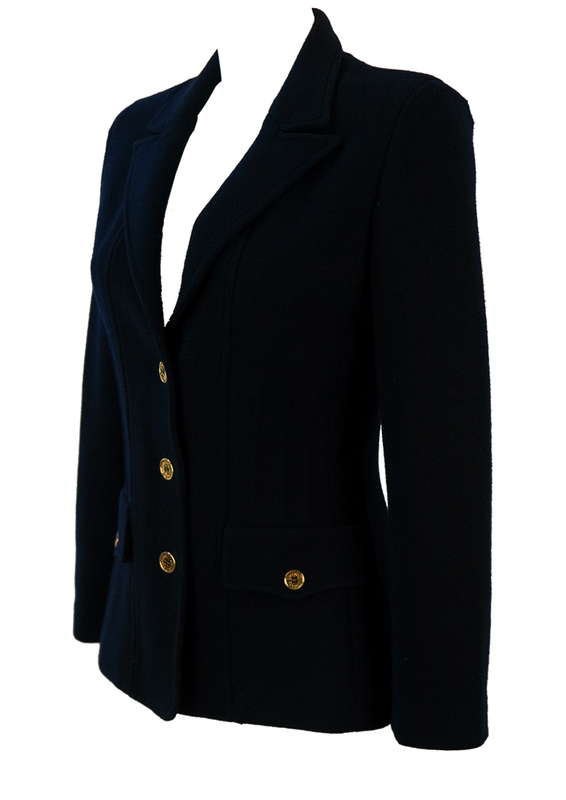 Luisa Spagnoli elegant navy blue jersey blazer made from pure wool. 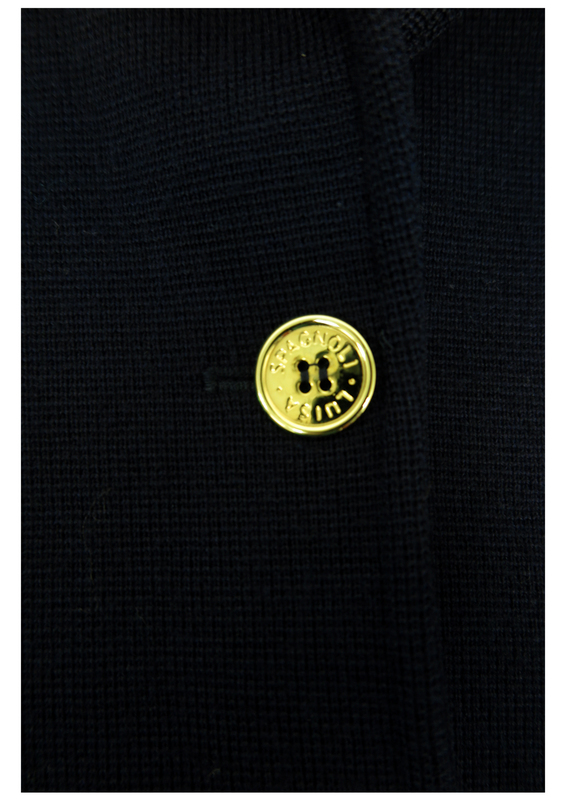 The jacket features two faux front pockets adorned with subtly branded gold buttons. 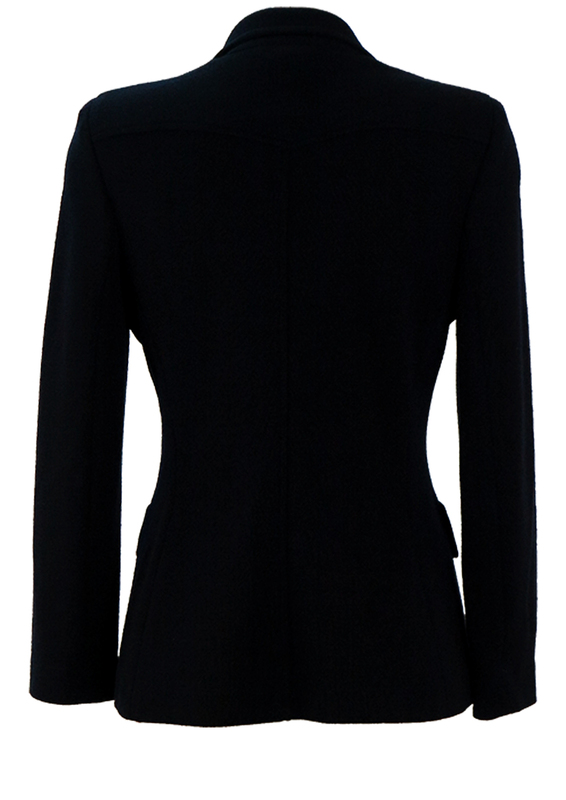 There is also a trio of lovely piping detail that sits above the pockets and at the back of the jacket. 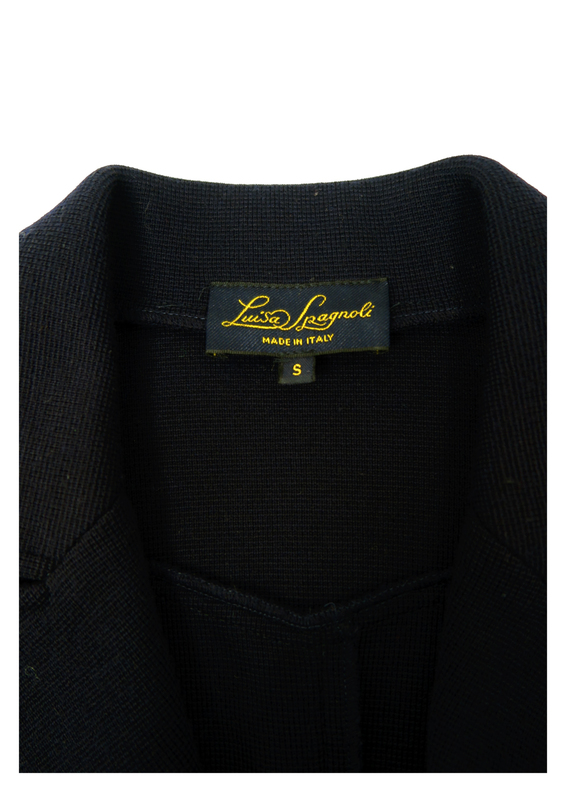 In excellent condition and a timeless classic!